This trio isn't new – the collection launched in autumn last year – but they’re perfect scents for summer. 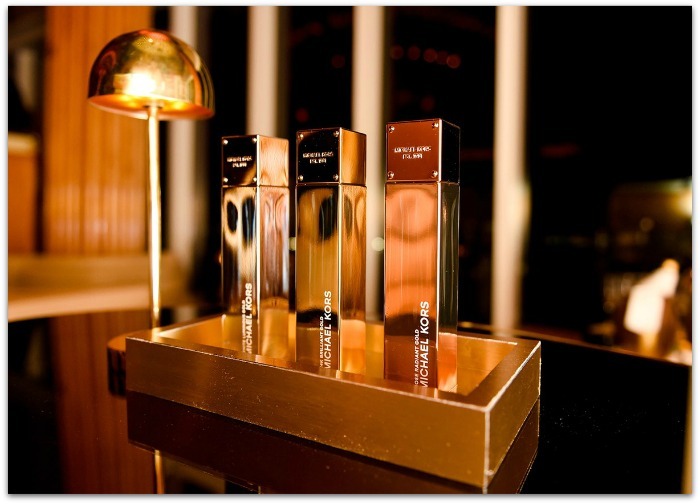 All three have serious dressing table appeal and are priced from €55 for 30ml. Emily, Allsun and I each picked our favourite scent – and happily, for the sake of good relations here at Fluffy HQ, we all chose differently. 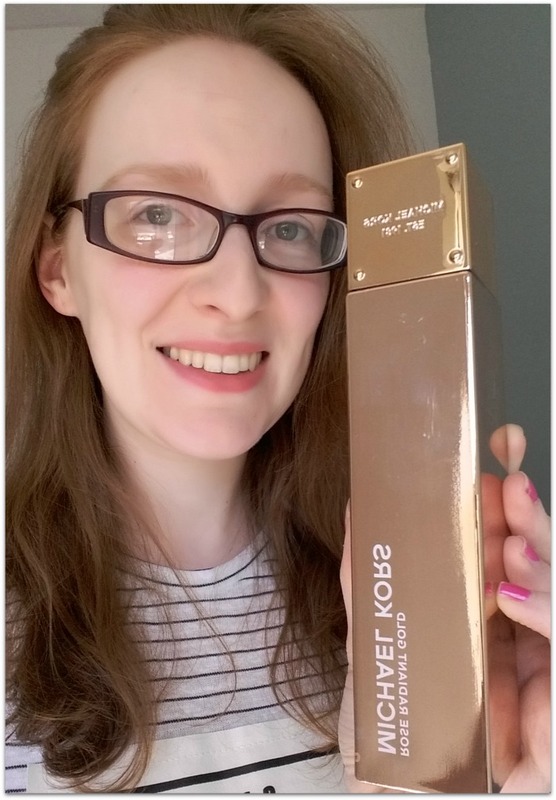 Emma’s pick: Michael Kors White Luminous Gold is described as a sparkling and sensuous blend of pear, jasmine and amber. I don't get sparkliness or fruitiness but what I do get is a gorgeous burst of jasmine followed by a warm ambery hug of a drydown. While I can't specifically detect it, the pear may be what makes this a fresher amber scent than most; it isn't heavy - at least not to my nose - but bear in mind I do favour very heavy, more masculine scents. For me, this is a lovely summery scent that is polished and elegant and it's my favourite of the three. It lasts well on my skin, too -and that bottle? Love. 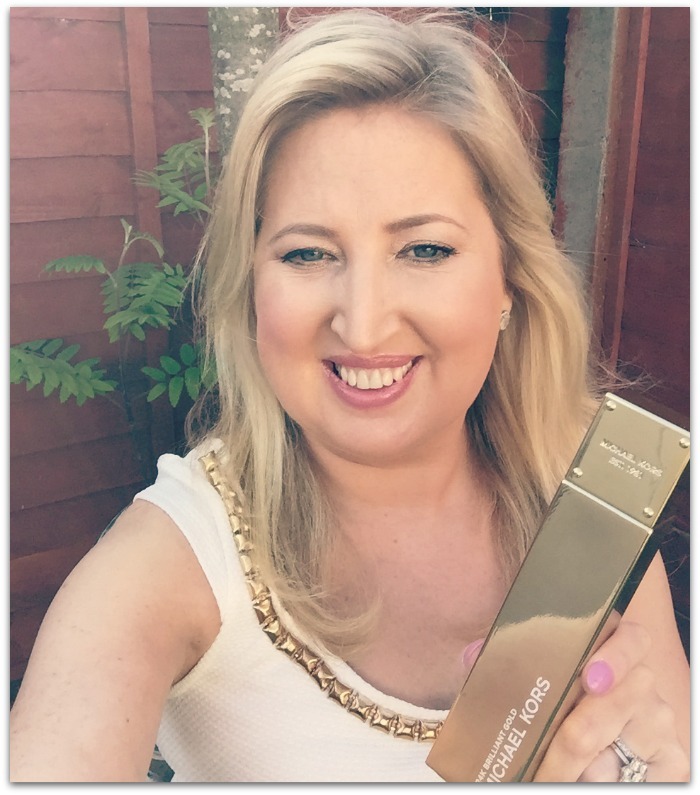 Allsun’s pick: Realistically I never feel fully dressed without a splash of perfume and it was love at first sniff with the Michael Kors 24K Brilliant Gold fragrance; I’ve been lashing this all over me for the past few months. The bottle is so bling that you feel you could actually be handling a solid block of gold, and it makes a fantastic addition to any dressing table with its sleek and shimmering design. As for the fragrance, it’s described as “feminine and seductive” and I can totally vouch for this. The lovely top notes of jasmine and orange mandarin remind me of flirty summer evenings. I used to be all about the very sweet floral scents, but this has given me a taste of how refreshing and energising a hit of citrus can be – while still having lots of heady floral goodness. Lasting power is also a very important factor for me with perfume and, while I wasn’t blown away by how long this hangs around for, it’s definitely nothing to complain about. 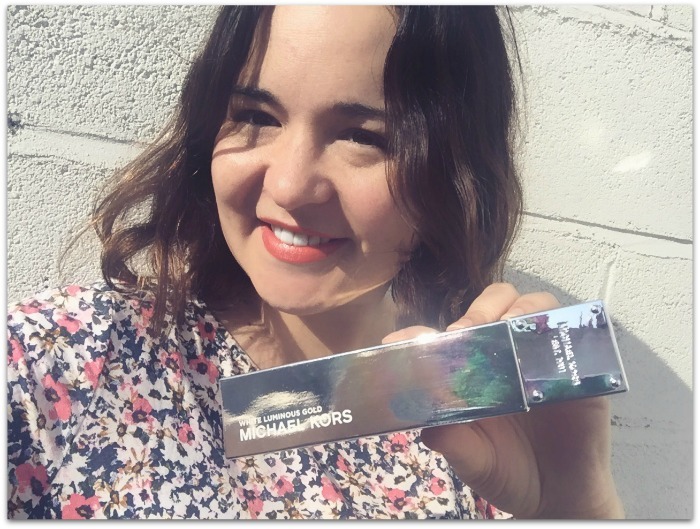 Emily’s pick: I love myself rose gold anything so I was delighted when I got my hands on the Rose Radiant Gold perfume - but the packaging isn’t all this perfume has to offer. I’ve been reaching for it almost every morning since winter last year and it’s all down to how the scent balances woody, spicy tones with light floral qualities. It moves through the seasons with you and for someone who likes to change their perfume every season, I haven’t gotten bored of this yet. And it’s a hard working fragrance to boot; it wears really well throughout the day so there’s no need to keep topping up, which is just as well because that’s some bottle to have to be carrying around with you! Which one sounds like the summer scent for you? Top image credit: BFA.com; press samples featured, see disclaimer for more.